ETH price traded further higher and tested the $635 resistance area against the US Dollar. There is a key bullish trend line formed with support at $612 on the hourly chart of ETH/USD (data feed via Kraken). The pair has formed a double top pattern near the $635 level and it may decline further in the short term. 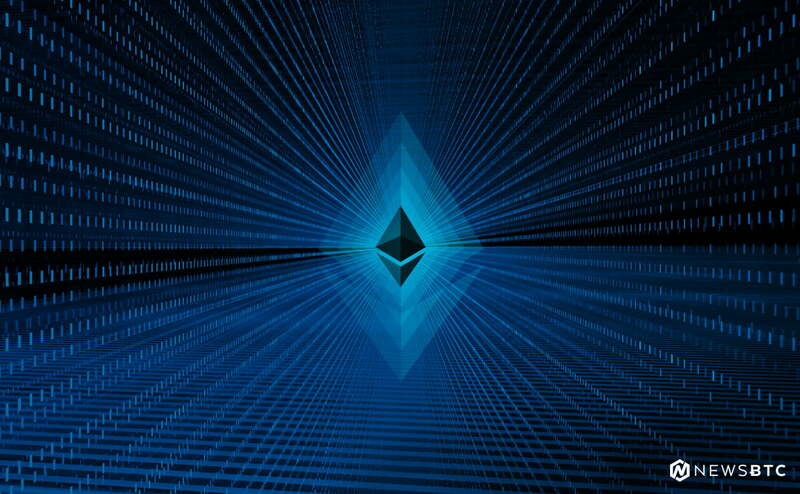 Ethereum price is trading with a positive bias against the US Dollar and Bitcoin. ETH/USD may correct in the short term after a key rejection from the $635 level. There was a nice upside move in ETH price from the $580 support zone against the US Dollar. 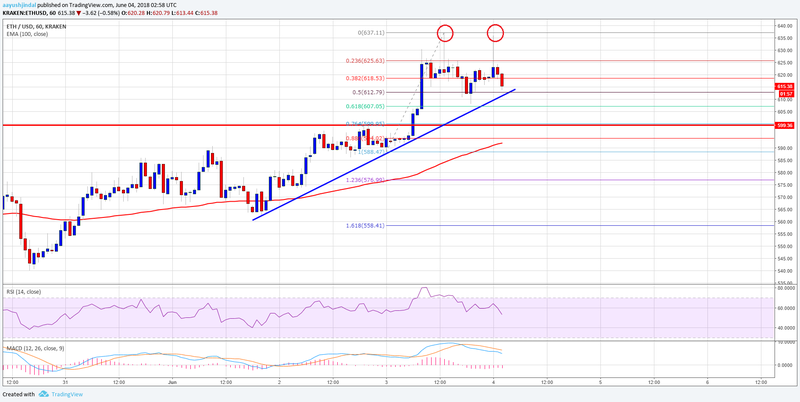 The price moved above the $600 and $610 resistance levels to trade further higher. It even succeeded in surpassing the $630 level. However, sellers appeared around the $635 resistance and the price failed to retain traction. A high was formed near $637 before the price started a downside correction. It declined below the 23.6% Fib retracement level of the last wave from the $588 low to $637 high. However, there are a few important supports on the downside above the $610 level. There is also a key bullish trend line formed with support at $612 on the hourly chart of ETH/USD. Moreover, the 50% Fib retracement level of the last wave from the $588 low to $637 high is near the $612 level to prevent declines. Therefore, a downside break below $612 and $610 won’t be easy in the near term. Looking at the chart, it seems like the price was rejected twice near the $635 resistance. Therefore, there are chances of a double top pattern near $635, which could result in further losses below $612. A downside break below $612 may perhaps signal a confirmation towards the next support at $600. Hourly MACD – The MACD is slowly moving in the bearish zone.